There was a glimmer of light when Qalaa Holdings took over Rift Valley Railways and promised a stash of capital to revamp a railwayline so crucial to Ugandan traders. However, an investigation by PATRICK MAYOYO, BERBER VERPOEST and GEORGE TURNER from FINANCE UNCOVERED, published today in different countries, has unearthed questionable dealings at the company that have attracted the attention of the World Bank. The World Bank has opened an investigation into Rift Valley Railways, RVR, the company managing the historic railroad connecting Kampala to the port of Mombasa. The team of investigative journalists who uncovered the World Bank inquiry travelled the line from Nairobi to Mombasa to find out why RVR has gone off the rails. By train, Nairobi to the Kenyan port of Mombasa is supposed to take 14 hours. But after a 27-hour ordeal of delays and interminable stops, our destination was still some way off. Only 30km from Mombasa, a train ahead of us broke down, resulting in yet another halt. “Just keep calm,” urged a beleaguered train official. But the patience of passengers finally snapped. Travelers wearily reached for mobile phones and arranged to share taxis to reach their final destination. For decades one of Africa’s most important rail lines – the historic Uganda Railway aka the Lunatic Express – suffered neglect and underinvestment. But it was not supposed to be like this anymore. Not after Qalaa Holdings, one of Africa’s biggest private equity funds, raised over $287 million in 2011 to put the 2,352km railway connecting Kenya and Uganda back on track. So, how is it that after hundreds of millions of dollars worth of investment, Rift Valley Railways (RVR), the company that runs the line, is still disappointing passengers and the local business community who rely on it? A cross-border investigation involving journalists from Kenya, Belgium and the UK, brought together by Finance Uncovered, a global reporting and training project – spent one year investigating the RVR. 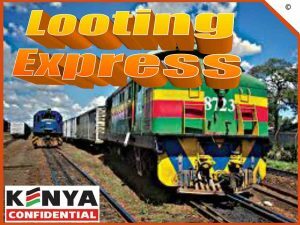 We obtained leaked documents, interviewed rail and freight experts, financiers and traveled the line from Nairobi to the port of Mombasa. We have discovered that the fabled RVR modernisation programme has not resulted in the purchase of new trains as claimed by the owners of the railway, Qalaa Holdings. We have trawled accounts which show that Qalaa has created an offshore structure of shell companies which has extracted millions in advisory fees from RVR, despite the railway suffering losses in recent years. And now we can reveal the World Bank’s integrity unit has opened an investigation into allegations of fraud and embezzlement at RVR, and that suppliers have been asked questions by investigators. As if that’s not enough, a Chinese-backed rail line running parallel to the RVR is set to open. The Chinese line will be quicker and more efficient. The odds are it will hoover up customers from RVR, potentially preventing the line from paying back a collection of international financial institutions. So, has the Lunatic Express gone off the rails? The Uganda Railway, also known as the Kenya-Uganda railway, is one of the world’s historic railroads. The British started its construction in 1896 to connect Lake Victoria to the port of Mombasa. Originally it was called the Uganda Railway and the reason for building it was to help secure the lake from the threat of German, Belgian and French expansion on the continent – reflected the European colonialists’ “Scramble for Africa”. It would later become known as the ‘Lunatic Express’ after thousands of workers died and millions of pound sterling were spent on its construction. In 2010, Qalaa Holdings, an Egyptian private equity fund, took over the company through an offshore holding company, Ambiance Ventures. A year later, Qalaa’s BVI holding company, Africa Railways, successfully raised $287m from international investors. The railway was to be reborn. Among the investors were several development banks including the IFC, the private sector arm of the World Bank ($22 million), IFC Debt Pool ($20m), the African Development Bank ($40 million), Germany’s KfW ($32m), the Dutch FMO ($20 million), and the Belgian Investment Company for Developing Countries ($10m). RVR claims it invests more than the $40m every year on maintenance and improving the railway. But documents leaked to the reporting team show that RVR may not always be buying the most up-to-date equipment. One of the key investments of Qalaa Holdings has been the arrival of “new” locomotives. In the capital expenditure plan that was presented to investors, $63m was allocated for the purchase of “new locomotives”. In its 2013 annual report, Qalaa Holdings mentions the purchase of 20 “brand new” locomotives. However, the purchase contract which the reporting team saw showed that no new locomotives were purchased at all. Instead, on show were second-hand refurbished locomotives. RVR bought them from a US company, National Railway Equipment Company (NREC), which refurbished the engines and adapted them from standard gauge to the narrow gauge track type of the Kenya-Uganda Railway. 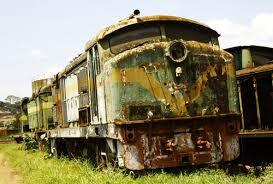 These locomotives, GE-B23-7, were manufactured by General Electric in the late 1970s and early 80s. Now refurbished, they cost a fraction of the amount set aside for the new locomotives. In total, RVR purchased 20 locomotives for $20m, rather than $63m that had been allocated in RVR’s capital expenditure programme. The IFC is the World Bank institution that leads the consortium of development banks which forwarded $144m in loans to Qalaa. It denied that it was ever planned for RVR to purchase ‘new’ locomotives, despite the very clear public statements from Qalaa and the data in the railway’s own capital expenditure plan. “It was never envisaged that RVR would acquire brand new locomotives as they are not affordable for a loss-making railway that has limited capital commitments in the form of debt from lenders and equity from shareholders,” its spokesman said. “It was always understood by all parties that locomotive expenditure would be a combination of rehabilitating some of the existing locomotives and acquiring refurbished locos from third parties. The World Bank further told us that the money earmarked for new locomotives had been spent in line with “investment activities”. RVR does not make most of its money from passenger trains. Freight is where the money is. But with freight, it appears things are also not going according to plan. Juma Ali Tellah is chief executive of the Kenya Ships Agents Association. He told us distributors have lost faith in the railway’s ability to transport their containers. The latest data we have seen, dated January 2015, suggests RVR transports just 7% of freight coming out of the port of Mombasa. The total volume of cargo transported by rail is still below 2010 levels when Qalaa took over the railway. In the 1980s – the glory days of East African rail freight, 4.8m tonnes was transported on the line, three times the amount transported in 2014. Cargo traffic at the port of Mombasa is growing more than 10% each year, according to a range of indicators. Increasing transport capacity is a significant challenge and it is clear that there remains enormous potential for rail transport. “The roads are bad. There is more and more congestion and accidents happen frequently.Uganda Railway, also known as the Kenya-Uganda railway, is one of the world’s historic railroads. The British started its construction in 1896 to connect Lake Victoria to the port of Mombasa. Originally it was called the Uganda Railway and the reason for building it was to help secure the lake from the threat of German, Belgian and French expansion on the continent – reflected the European colonialists’ “Scramble for Africa”. Transport by rail is more important than ever,” said Talleh. Rail also has the potential to be significantly cheaper than road transport, which could help lower some of the high costs faced by East African consumers. However, the RVR might not be on track to deliver that potential. A new railway, currently being built with Chinese money, will be a standard gauge, rather than the narrow gauge used by RVR. Standard gauge allows heavier locomotives and faster speeds. During a tour in the port, we were shown how the new railway embankment runs until the newest dock where containers can be loaded directly onto the trains. By the end of the year, the section between Mombasa and Nairobi should be ready. 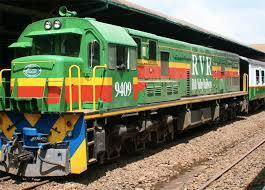 “If the tariffs on the new railway are competitive, I don’t see who will continue to use RVR’s narrow railway. Transport will be faster and more reliable although competition may incentivise RVR to improve its tariffs and service,” Talleh tells us. In other words, the Chinese-funded railway running parallel to the RVR will be far superior. So, has the RVR been a giant waste of public money? 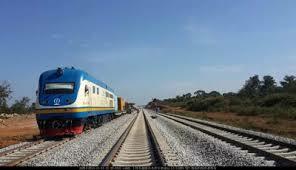 Chinese Standard Gauge Railway to end railway lunacy? Even though it currently has a monopoly, RVR has struggled to make profits under Qalaa’s management. In 2014, the latest year we found figures, it reported losses of $1.5m. It is difficult to see how profits could improve when the new line opens up. The IFC did not respond to questions about how it would see a return on the substantial investment of public funds when the new standard gauge railway starts to compete with RVR. Although RVR has not seemingly made a profit, that does not mean Qalaa has not been able to take any money from RVR. Between 2012 and 2015, Qalaa collected $4.7m of “advisory fees” from Africa Railways limited, the investment vehicle in RVR that is registered in the British Virgin Islands. Finance Uncovered has investigated Qalaa before. Two years ago, we found the firm had paid a tiny amount of corporation tax. And despite getting hundreds of millions of dollars in funding from state-backed development banks most of its investments appear to be managed through offshore shell companies located in tax havens. These corporate structures are not illegal. And as far as we could check, RVR lives up to all its contractual obligations with respect to the Kenyan and Ugandan government. But that doesn’t mean this investment will fully benefit the development of Kenya and Uganda. Sharing a taxi to Mombasa after our testing rail journey with Jane and Sean, a honeymoon couple, they ruefully reflected on their Rift Valley Railways experience. “We thought a train ride would be a nice experience but we clearly were wrong”, Jane smiled weakly. “It’s something you try once and never again.” International financial institutions may well be feeling the same having poured $144m into the Lunatic Express.